We believe that students and their families will begin to encounter Jesus as they order their everyday lives around Jesus and His mission. Students from 6th-12th grade come from all over the metroplex to meet in our Student Center. Weekly we encourage our students to attend the 9am worship gathering and then join us in the Student Center during the 10:45am gathering for their specific Student Life Group. Then we gather every week on Wednesday nights for our Emerge student worship gathering (more info below). Student Life Groups are age/gender-based small groups led by adult volunteers who love students and want to help them in their relationship with Jesus. 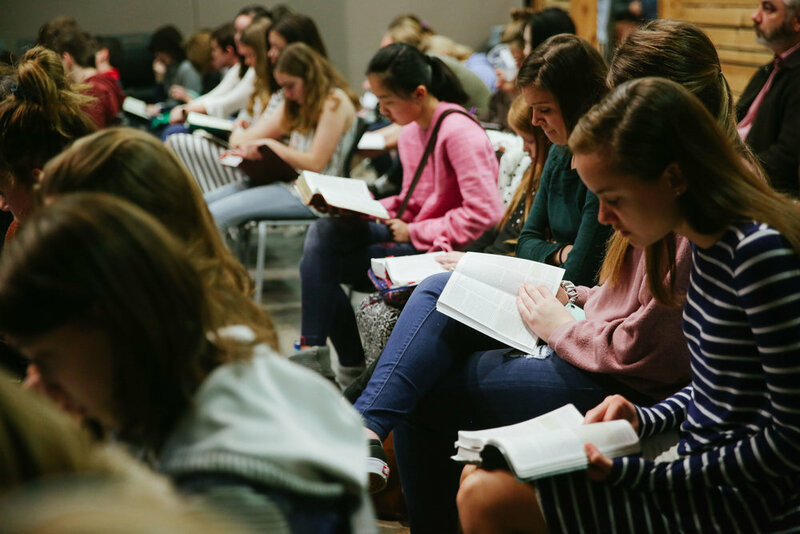 Students can expect a warm and welcoming environment where they can dive into the bible, and can be known by God’s people. Students are encouraged to attend the 9am worship gathering in the Auditorium. We use The Gospel Project for Students as our Student Life Group Curriculum. EMERGE is a student worship gathering for both middle school and high schoolers (6th-12th). It is held every Wednesday night from 6:45-8pm in the Student Center. The Student Center opens at 4:30pm for students to come hang out, do homework, etc. Students can expect a fun, safe environment where they can come alongside their friends to worship God and hear from God’s word. For more information about Emerge, please email James Sercey. The best way to stay up to date with everything Students at the Cross has to offer is to follow us on social media. We give live updates, recaps, and a lot of fun stories through our social. Follow us on Instagram and Twitter. Interested in Leading at one of these events? Want to Serve in the Student Ministry? The student ministry here at Church at the Cross is not about any one person except for Jesus. As a matter of fact, we understand that if we are really going to reach and disciple students, it is going to be on the backs of a whole team of parents and volunteers. If you have a burden to reach and disciple students, we would absolutely love to have you join our team as a volunteer! There are multiple ways to volunteer and we would love to discuss how you best fit on the team. To get started, click the button below! What is your involvement with CATC? Thank you! Student Minister James will be in contact with you shortly.